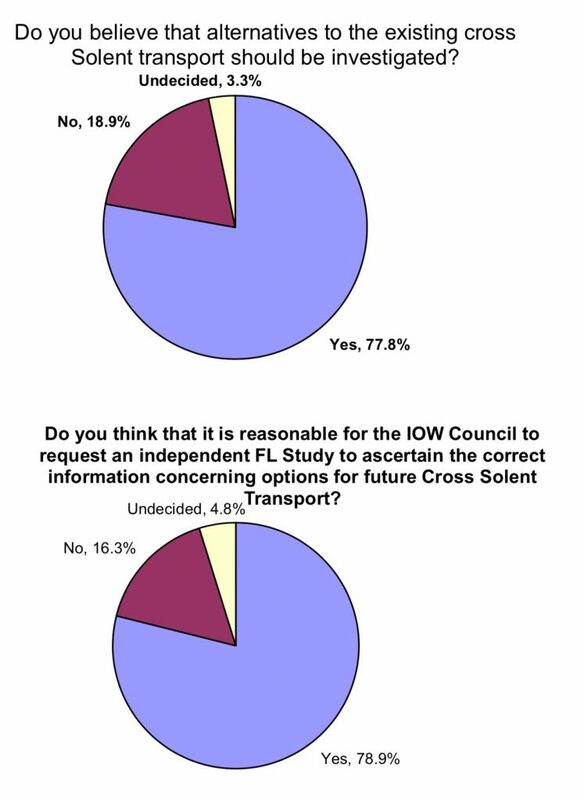 There have been many polls and surveys since late 2014, gauging sentiment of whether islanders want a cross Solent fixed link or not? 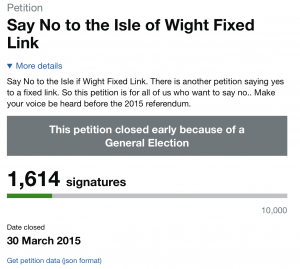 All results have been conclusive – the majority of islanders are desperate for one. Each of the two petitions below, were organised by two different groups. 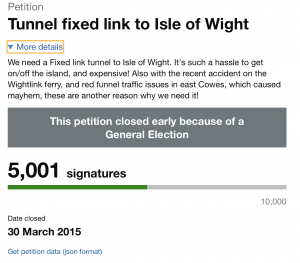 PRO-LINK organised the petition for the fixed link, another organising a petition against a fixed link. Again, the results were conclusive in favour. The Study is unbiassed and independent. 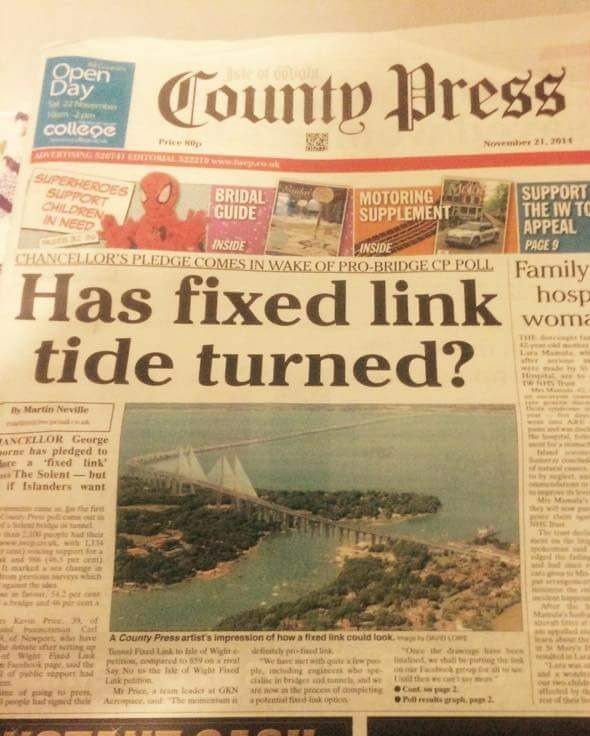 Outsourced professionals carried out the survey, which was overseen for impartiallity by the IOW County Press. The results were conclusive from 5000 people that completed the survey. 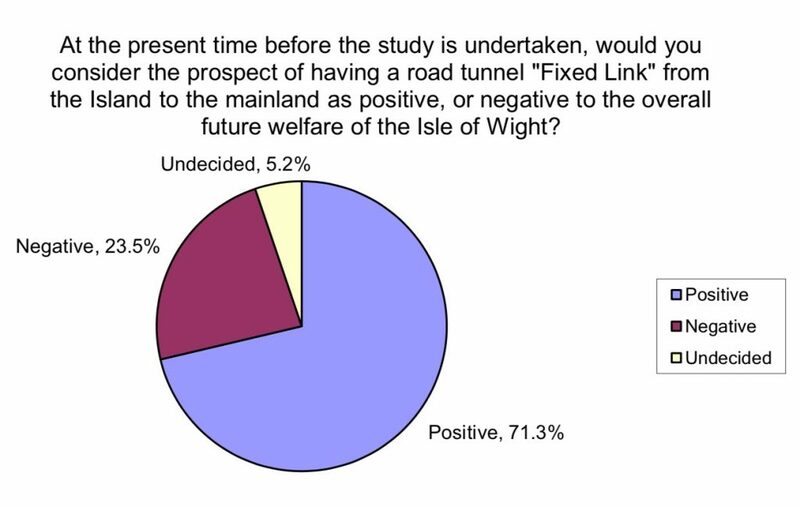 There is an opportunity to read all the reasons why 5000 individual people, either did or didn’t want a fixed link / study….. some are considered shocking. Read the full 347 page report here. 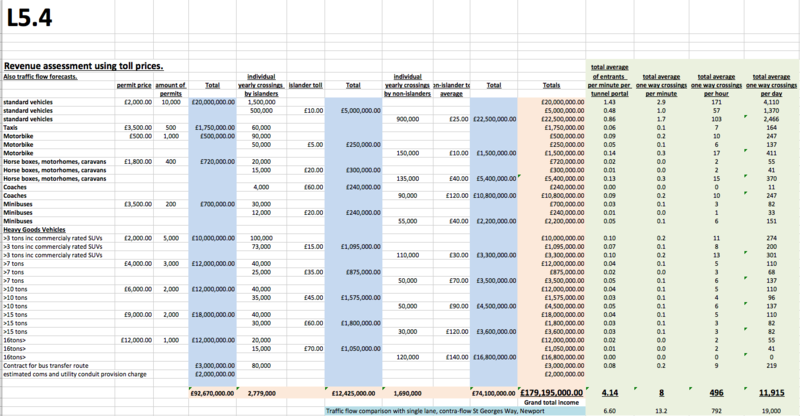 It is possible to look at 5000 individuals’ reasons against a link, and 5000 for a link… in the report. It appears that the reasons for a link are vastly more compelling. Onthewight.com …including a summarised report. 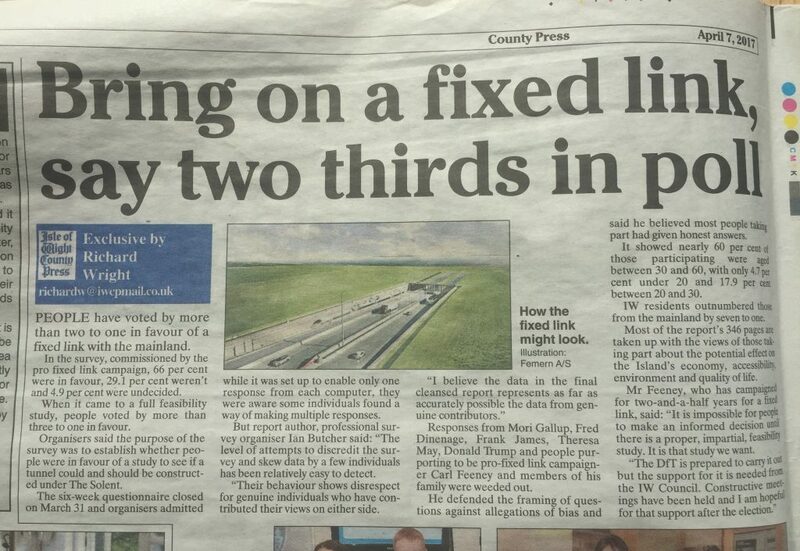 IOW County Press report …thank you to the County Press for overseeing the authenticity of the survey. Conclusive indication of island sentiment. PRO-LINK thank the above media for promoting the survey to their readers on-line, in order to complete it.